I've had an obsession with prAna for a few years now. It seems like no matter which prAna piece I put on, I feel great and look equally as great in it. My newest prAna additions are the Liana Sweater and the Lizbeth Capri. We had a little sneak peak of spring for a couple of weeks. It was heavenly. My Liana Sweater and Lizbeth Capri came and I wore them - and it felt like spring was just around the corner. But then we got dumped on, 19 inches of wet, white stuff. Yesterday. I still have high hopes that it will all melt soon. Track season is right around the corner! But let's get back to the gorgeous prAna. The new spring line does not disappoint. 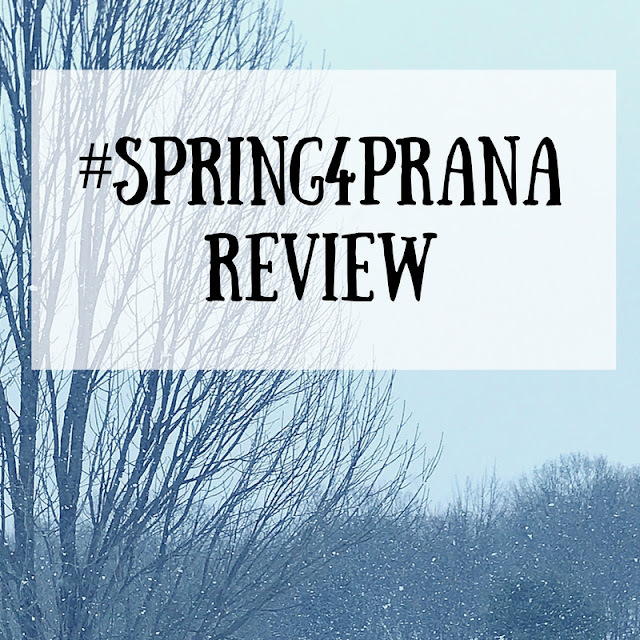 Spring looks are here to stay, and prAna is at the top of my list in choices when it comes to what I want to wear this spring. The organic and recycled materials make prAna an even more desirable company. The styles are timeless yet bold and make me feel great when I put them on. Congratulations! You have decided to start running. 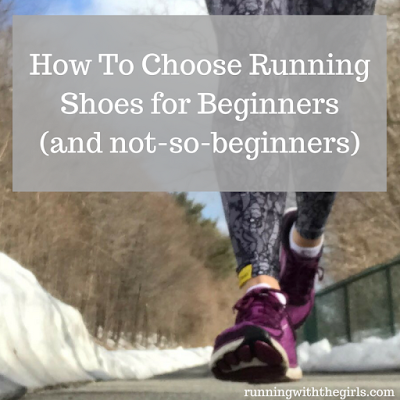 Or you are already a runner, but are looking for some advice in finding the the right running shoe. First and foremost, we need to talk about fit. The fit of the running shoe is very different than the fit of your casual shoe. Can you imagine running in these shoes? No way! That wouldn't feel good at all. I usually wear a size 8.5 or 9 in casual shoes. In running shoes, I wear a 9.5. The thumb rule applies here. When you run, your feet expand. In order to take into account for that extra space you'll need in your running shoes. A very wise person once told me, if your running shoes feel too big, they are more than likely the right fit. Now, I'm not saying if you're a size 8, try on a size 11. That's silly. Oh jeez! I am SO late on this one. This past weekend I ran the Bradbury Blizzard and was so excited to tell you all about it, but then I realized I hadn't done my Whiteout Recap! I can't recap race #3 of a series if I hadn't done #2! So here you go! The Bradbury Whiteout was nearly a month ago. (oops!) Maine had gotten hit rather hard with some snow in the week leading up to the Bradbury Whiteout Snowshoe Race. Which made me super happy! I know, I know. I really do not like snow. I hate driving in it. I don't like running in it. But I LOVE snowshoeing in it. Then add in running in snowshoes and it was incredible!